This Hamburger Curry Rice is a great recipe for using up old rice. 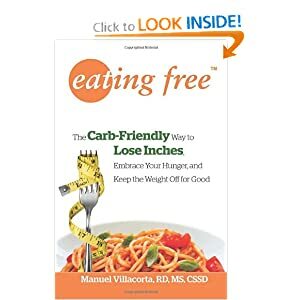 Order Nutritionist Manuel Villacorta's Eating Free - Tired of dieting, feed your body with sound nutritional advise and techniques that Manuel Villacorta has used on his clients for lasting results using nutrition as a means to lose weight, not starvation. Brown hamburger in pot, drain excess oil, add butter, cream, milk and curry powder and mixed vegetables. Cook for 5 minutes. Add rice, mix well with ground beef mixture, add salt and pepper to taste. Adjust curry seasoning if necessary.